Well known for its world-class wreck diving, Truk Lagoon is now the featured destination for Master Liveaboards. With over 60 wrecks, from supply vessels to planes and one submarine, this tightly packed coral reef lagoon has attracted divers from the world over. With a chance to dive into history, through the remains of a WWII Japanese fleet, divers can enjoy many hidden artefacts and completely immerse themselves into a forgotten world below the waves. The wrecks are encrusted with corals that run along the ship corridors and through the various engine rooms, and there is even the chance to see the mounted guns and fallen tanks within the many dive sites. The next scheduled trip is from October 26 to November 5, and is available from USD4,345. Are you a wreck-fanatic and/or a tek diver and ready for exciting wrecks? 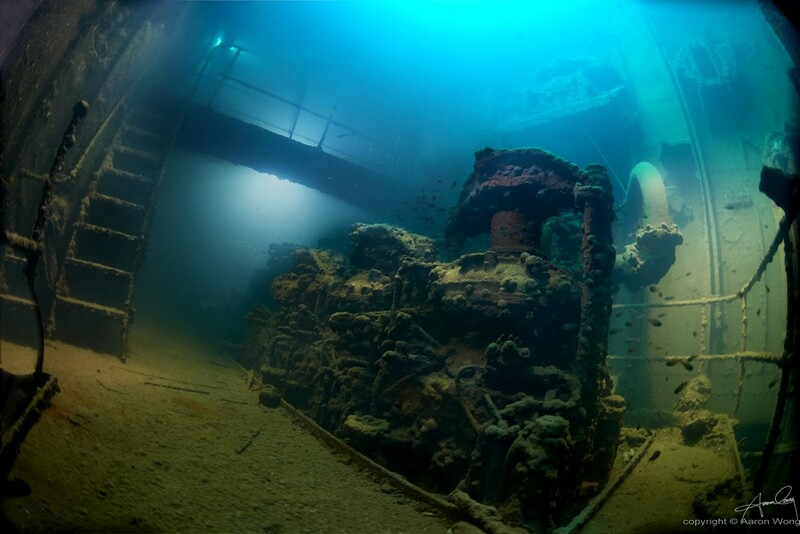 Come and join us aboard the new and luxurious Truk Master yacht to explore some of the best WWII wrecks in history. Operations in Truk Lagoon have now commenced with both seven and 10 night itineraries available. Diving in Truk (also known as Chuuk) Lagoon is quite unlike any other destination you probably have ever been to. A historically important site: the sunken Japanese Imperial fleet of war and merchant vessels that has, over time, developed into a beautiful coral reef. This combination makes for a unique diving experience. Many war and cargo relics remain on the vessels, creating an exceptional atmosphere and an extraordinary diving experience. In February of 1944, during WWII, the Americans launched Operation Hailstone on the Japanese naval base in Truk. They effectively eradicated 61 ships with a combined air/naval and submarine strike. The result of this attack is a collection of shipwrecks closely packed into a coral lagoon, many of which lie at depths easily reached by recreational divers. For tek and wreck specialist divers, Truk is a diving delight as well as many wrecks can be explored and penetrated in deeper waters (40+ metres). Fujikawa Maru – An armed cargo ship measuring 132 metres and featuring a 6-inch bow gun. She was carrying several parts of a Zero Fighter Aircraft, such as propeller blades and engine parts, still visible today. Deeper down into the ship there are four more disassembled Japanese fighter planes: Mitsubishi A5M and Mitsubishi A6M. Submarine 1.169 – Submerging quickly to avoid damage during the attacks in 1944, the crew omitted to close the valves causing the submarine to sink completely. She is now at her final resting place at 38 metres depth. Nippo Maru – This 118 metre long cargo ship carried a tank and Howitzer guns and lies at a depth of 18-48 metres. The crew of the Truk Master will provide you with the top-notch service that Master Liveaboards is known for. The yacht has undergone a complete re-fit through 2016, to meet all specific requirements of divers on a liveaboard holiday; i.e. 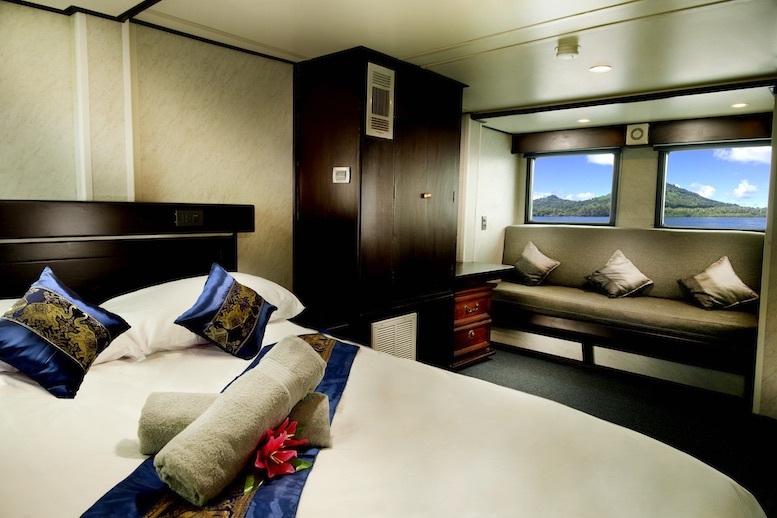 luxurious cabins with en-suite bathrooms, plenty of space to stow your diving gear and personal belongings, and a special camera set up area. Worldwide Dive and Sail (WWDAS), who designed, built and operate the Siren Fleet liveaboard brand, came up with the plan to expand their list of highly-rated, amazing dive destinations. Combining more than 70 years boat building experience, in both wood and steel boats, it was the logical step for Jan and Frank van der Linde to move into re-building steel vessels. The team also offer advice to other vessel owners on how to operate and maintain their boats to the highest standards; and thus the Master Liveaboards brand was born.